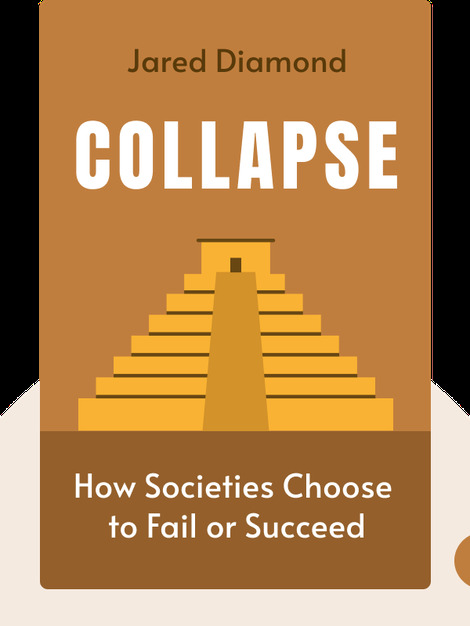 Collapse explains how societies fall. It explains the reasons behind the disintegration of once mighty civilizations like the Mayans in Central America or the Vikings in Greenland. Their stories provide us with harsh lessons on the possible consequences of our own environmental and societal mismanagement. 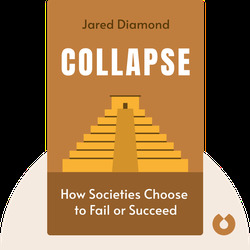 Jared Diamond trained as a physician before becoming a professor of geography at UCLA. He is best known for his popular science books The Third Chimpanzee, The World Until Yesterday and Guns, Germs and Steel, for which he received the Pulitzer Prize.